Trainees from India: MediScan has trained doctors from all over India in almost all the states of the Indian sub-continent from North to South and from East to West. International Trainees: MediScan's quality of education has also reached the other continents of the world. 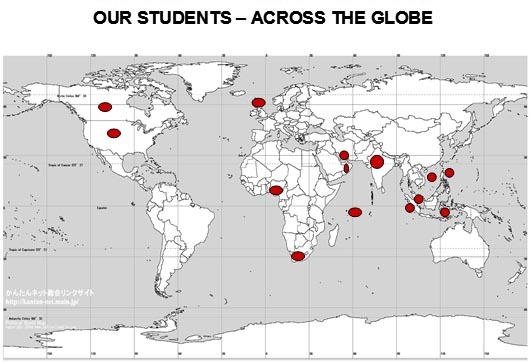 The countries where MediScan's education is spread and well known are marked in the map below.